The Swachh Bharat Abhiyan (Clean India Mission) promised to bring open defecation in India down to zero, and the government had also guaranteed that it would build enough toilets in every village and city to completely eradicate the problem of open defecation. Many of us will agree that open defecation leads to the proliferation of diseases, and it is thus, advisable, to make India completely open-defecation free. However, one man working for the Swachh Bharat Mission knows that the subject of open-defecation is not as black and white as it seems. For many, it is a part of their lifestyle, that they cannot change overnight. The problem of maintaining toilets that were built by the authorities also keeps people outside the washroom walls. Mr Iyer had worked with World Bank from April 1998 to September 2007 in Hanoi, Vietnam. From 2012 onwards he was the lead water and sanitation specialist for the World Bank and was instrumental in bringing two leading programmes on the ground there. Before taking up a specialisation in Vietnam, Mr Iyer had also worked in Washington on Egypt and Lebanon and in the Bank’s Water Anchor. When he realised that he had to accept that many people prefer to defecate in the open rather than in toilets, Mr Iyer brought his experience in Vietnam to practical use. In 2014, he had written about the need for behaviour change before a lifestyle change, on the World Bank’s site. 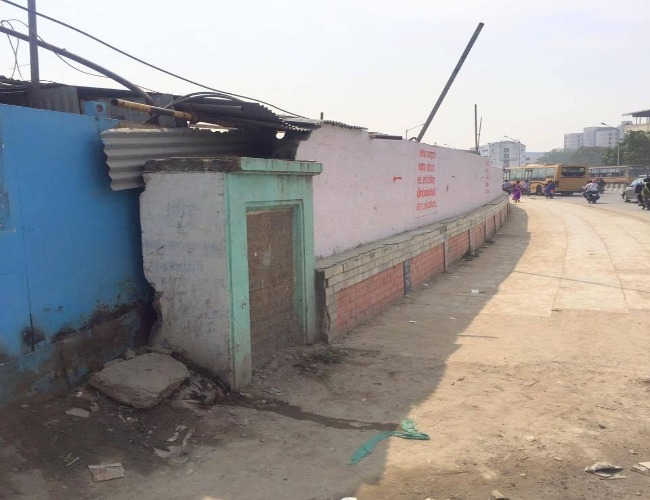 “The biggest lesson learned so far in Vietnam, and other countries is that eliminating open defecation is not driven by the construction of toilets. It is driven by changing the behaviour at the community level based on quality, evidence-based interventions. What is also clear is that approaches must be tailored to be the specific context with careful consideration of local factors such as ethnicity,” he wrote. Mr Iyer’s experience with the World Bank, across several countries, will certainly help India, to go a step further in the cleanliness mission. This is a rare case of the Indian government appointing an IAS officer working with the World Bank for their initiative, and Mr Iyer has certainly upped the hopes of Indian citizens. 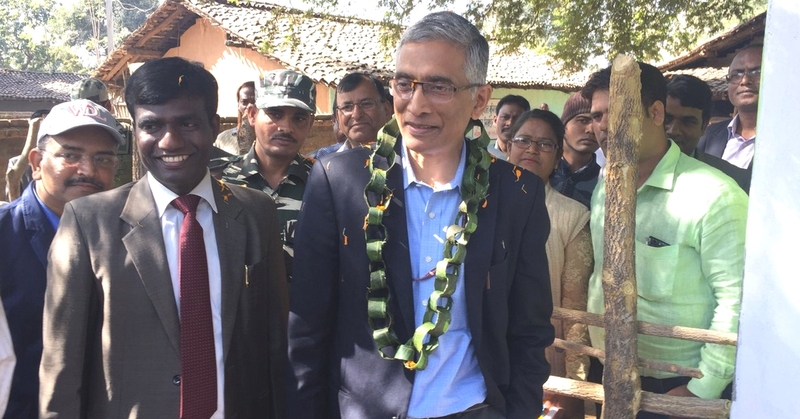 He was appointed as Union Secretary for the Ministry of Drinking Water and Sanitation in 2017 on a two-year contract basis. With a combined experience of about two decades in this sector, Parameswaran is sure to be a beaming light of hope for the dream of a clean India! 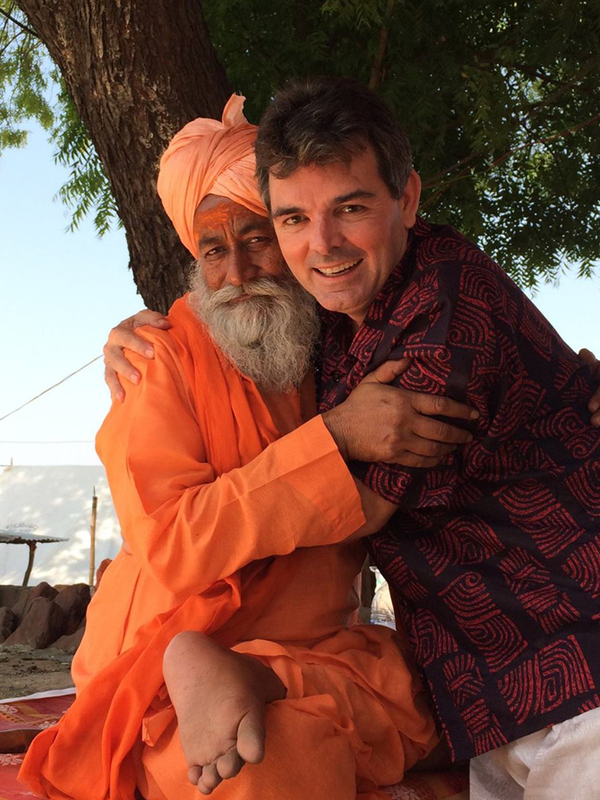 Charles ‘Biharilal’ Thomson, is an Australian who speaks fluent Hindi learnt on the streets, trains and buses of India’s hinterland. Biharilal tells Rediff.com‘s Archana Masih how India has bewitched him. Biharilal Thomson is a white Australian who speaks Hindi better than many Indians. The first time he saw a non-white person was as a 10 year old. His mother had invited an Indian yogi from Bihar into their home in Australia and asked her son to share his room with the sadhu for a few weeks. “I had only seen white Australians till then, not even native Aboriginals — and here was an Indian in a langoti in my room!” he exclaims in good humour, sitting in a film producer’s home in suburban Mumbai, wearing a kurta-pajama and a yellow stole. In the two hour conversation, he only speaks Hindi, a language he learnt in the streets, trains and buses of Bihar where he had arrived at age 13 in December 1974. He loved his new home on the banks of the Ganga so much that he did not return to Australia for the next 11 years. Accounts of his experiences in India’s rural underbelly in the 1970s-1980s, include encounters with dacoits on horseback on at least two railway journeys. “I saw real sadhus, I saw real dacoits — and I thought I had reached an amazing place,” says Biharilal with a grin. His life experiences, he says are so unbelievable that he sometimes thinks it is like a film. It also reveals an India of another time — one that was simpler, wilder, unfamiliar and distant from what it is today. After going back to Australia in 1985, he returned to formally work in India in 2011. “This is what I am routinely asked, especially by the youth. They ask ‘Why have you come here when we want to settle abroad?’,” says Biharilal, who applied for Indian citizenship in 2014 and hopes to hold an Indian passport soon. His fluency in Hindi has fetched him invites to Hindi events by the Indian high commission in Australia, to symposia at Savitribai Phule Pune university and Delhi’s Hansraj College. He has anchored a few film festivals and done some acting roles. It has also brought him an FM radio show that he hopes to receive a confirmation for by April. “In independent India it will be the first time that an angrez will do a radio show in Hindi,” he says enthusiastically. Not wanting to be boxed into roles of the typical gora speaking tooti-phooti Hindi, he refers to the accomplished actor Tom Alter. Biharilal works at Josh Talks, a media company that invites guests to share inspirational stories. His focus is on all regional languages and tier-2 cities. He has also done a few acting roles in Hindi and Marathi television serials, and recently appeared in an airline commercial for Scoot, a budget airline owned by Singapore Airlines. There are quirky benefits to a white man speaking Hindi too — like the number of wedding invitations he receives. Many wedding organisers in the Delhi area send him invitations only to have a foreigner on display! “I get so many invitations for chief guest. In the marriage season, I’ll be booked,” he laughs. The move from Australia to India may have been a continental shift, but for Charles ‘Biharilal’ Thompson, it was like coming home. It was a life introduced to him by his mother, a ballerina and an early convert to yoga, who came to learn at the Bihar School of Yoga in Munger in 1972. “At that time only 1% of the world travelled by aeroplane,” says Biharilal, who is often recognised as ‘Biharilal Autowale Babu’ after a show on Zee TV where he covered the 2017 Delhi municipal election in a colourful autorickshaw. He also covered the UP assembly election last year for WION, Zee’s English news channel. He stood 2nd and travelled to Calcutta, he says, taking a train to Jamalpur and then a bus to Munger. “I was shocked to see the poverty in Calcutta, but hearing ‘garam chai‘ by tea vendors in the train was like music,” he remembers. Eight weeks later, his father returned to take him home. “I told him I wanted to stay for one more year,” he says over a cup of tea. He has now spent 16 years in India — first at the Bihar School of Yoga in Munger, then working in a financial tech start up Eko India, and currently in the entertainment industry. At the famed yoga school in Munger, he says he learnt yoga and managed the library. He helped in the institute’s office work which would take him to Patna and Delhi. It was on one these travels that he found himself in the middle of a dacoity. He had bought a third class ticket and boarded a train from Jamalpur to Patna in Bihar. The TT saw his ticket and upgraded him to first class. Along the way, dacoits came riding alongside the train, detached the first class compartment and started looting passengers. The dacoit said ‘No’ and Biharilal told him that he would be his friend. Caught in another dacoity on a railway platform — this time on a dark railway platform surrounded by crop fields — his saffron clothes came to his rescue. “When they came to me, I just sprang up and started chanting Bum, Bum Bole-Bum, Bum Bole and they said, ‘Yeh toh Ganga jal wala aadmi hai‘ and let me go,” he chuckles. India was very different then, he says. Yoga institutes were very austere and drew only the most committed. He remembers the first function he organised which had a generator as backup for electricity failure. When the lights went off and the generator was switched on — the crowd left the sammelan and rushed to get a first glimpse of a generator at the back. At fifty-seven, Biharilal has seen the arc of India’s history from Indira Gandhi’s Emergency to her assassination to the post liberalisation. He has travelled widely, even taken his mother to the Kumbh Mela. In between, he returned to Australia and ran a Thai vegetarian restaurant but kept coming back to India. “I started coming back in the late 80s, but visas were very difficult. Till the Modi Sarkar came, getting a visa to India was not easy. Sushma Swaraj is doing a good job,” he says. In 2009, a startup started by Biharis, Eko India, offered him a job and he moved to India. But it was a chance encounter with an Indian student at a Sydney swimming pool that opened the door to acting. Shashank Ketkar, now a popular television actor, had got talking to him by the pool hearing his Hindi and came to eat at his Thai restaurant. Few years later, Biharilal would visit him on the sets of his show whenever he was in Mumbai. His kurta-pajama style of dressing and fluency in Hindi caught the eyes of the director and led to small roles. He also got to play an angrez in a Marathi film Shashank Ketkar was acting in. He has also acted in a Hindi suspense thriller that will release this year. Every day, he receives a large number of messages on Facebook and makes it a point to at least say ‘Ram, Ram’ or ‘Namaste’ to them. “I feel the whole of Hindustan is made for me. Yeh kamal ka desh hai, yaha aapko sab kuch mil jayega (this is a great country, there is nothing you can’t find here),” he says, adjusting the famous Australian Akubra hat he is wearing and steps into the hot Mumbai sun. Her Small Act Of Kindness Went Viral. Now, She Has A College Scholarship…! A young restaurant worker in Texas who spent the past year saving up for college is now one step closer to her dream – all thanks to a small act of kindness she performed. Evoni Williams, 18, went viral earlier this month for helping an elderly customer at the Waffle House Texas eat his food. A picture of Evoni, an employee of the Waffle House, cutting up food for a customer who was unable to do so himself, was clicked by another customer and shared on Facebook. The picture went viral with thousands of shares and even earned Evoni a scholarship to the Texas Southern University. As the post gained attention, praise started pouring in for the teenager. “She’s an angel,” wrote one person. “That was very kind and sweet,” said another. It eventually caught the eye of Texas Southern University, and they decided to present Evoni with a $16,000 scholarship. 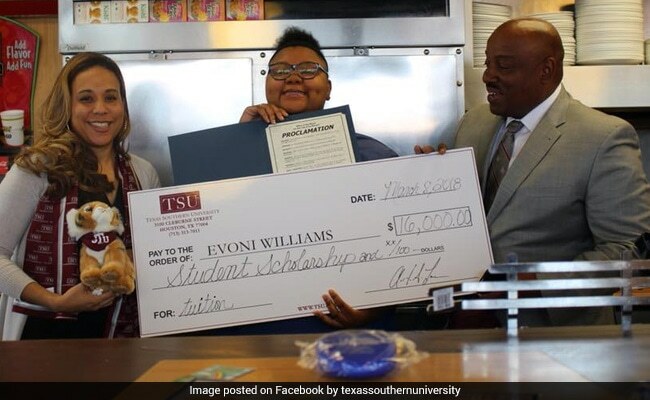 “Her act of kindness went viral on social media, and today Texas Southern University returned that act of kindness by surprising Evoni Williams with a scholarship,” they said. Not only this, she was also honoured by the mayor of La Marque, Bobby Hocking. It just came from the heart,” Evoni said to ABC 7 about her now-famous act. As cities across India are facing a severe shortage of water, Coimbatore has been trying to preserve and recharge its groundwater levels. At the forefront of this change is Siruthuli, an NGO that is dedicated to cleaning Coimbatore, and infusing green methods throughout the city! Coimbatore, which was once a place of abundant rainfall, was shaken to reality following a drought in 2003. As part of its initiative to recharge groundwater levels in the city, Siruthuli has implemented rainwater harvesting structures (RWH). 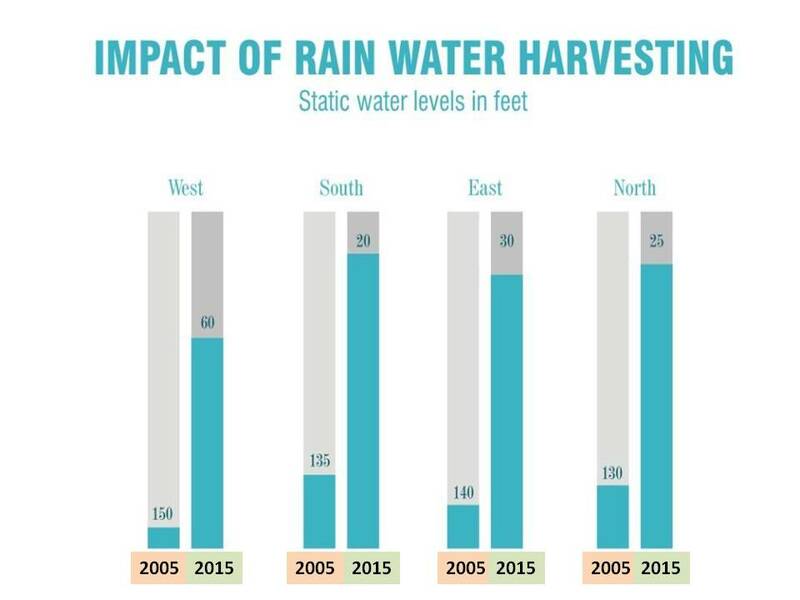 “In 2003, Coimbatore received 65% less rainfall than in previous years. This made us release the need to save water, and harvest it when there was adequate rainfall,” says Shruthi Suresh, a representative of the organisation. The organisation conducted a series of geo-hydrological studies in 2005, to better analyse how to approach the conservation of groundwater in the region. 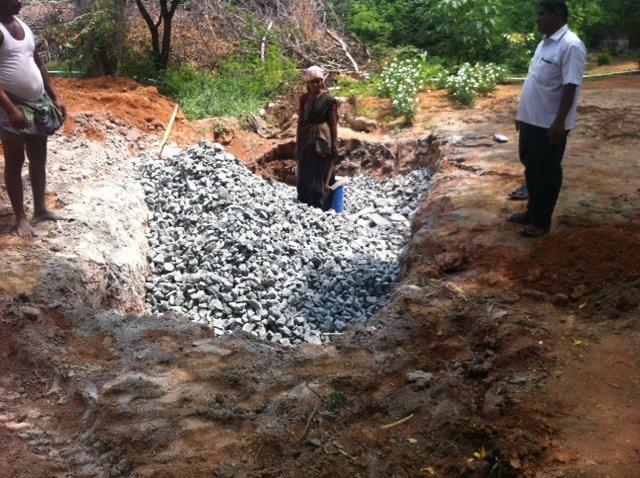 In association with the Corporation of Coimbatore, Siruthuli began conducting rainwater harvesting structures in various locations across the city. However, one of the significant challenges of the construction was the fact that Coimbatore was primarily a hard rock structure, and thus percolation of water was difficult. 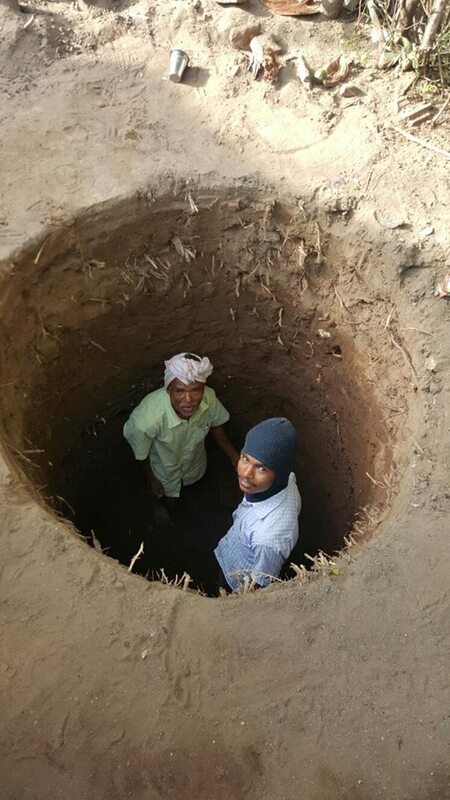 The organisation persevered and came up with the idea of drilling bore wells for groundwater. “We came up with this technique to recharge the groundwater. We recommended two types of structures using this technique. The first simply recharges the aquifers, while the other not only recharges but also pumps the harvested waters so that it can be used,” she explains. According to Shruthi, the structures are installed in both open spaces, as well as on roadsides. Today, thanks to the efforts of this organisation, Coimbatore has more than 600 rainwater harvesting structures in different locations across the city. However, on average it has been observed that the open spaces have seen a much higher level of maintenance than the ones on the roadside ones. There have been instances where some of the roadside RWH structures have been shut down for new roads and construction. The water that is harvested from the ground is what is used extensively for not only daily use but as drinking water. It, therefore, becomes imperative for the citizens of the city, to maintain and use the water judiciously. Today, even with a shortage of water, Coimbatore maintains stable and sustainable groundwater tables. 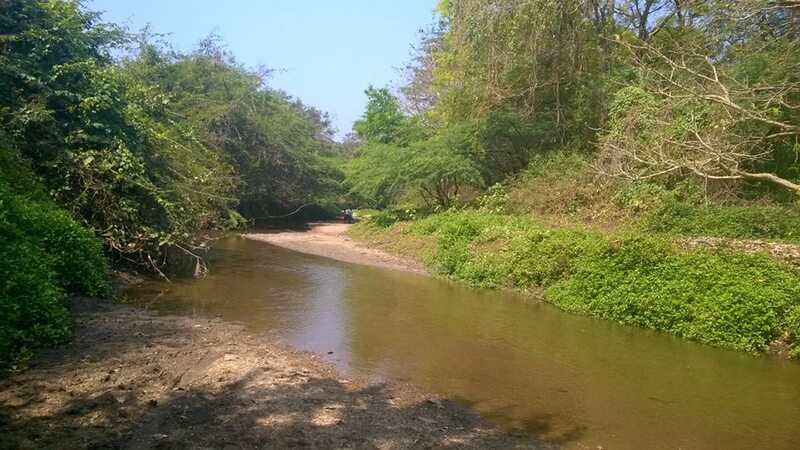 This initiative goes along with one of the organisation’s chief objectives, titled, “Water Watch,” under which, they aim to not only recharge groundwater, but also rejuvenate water bodies, and restore the River Noyyal. The river, which once had 34 streams, is now reduced to just four. In the future, Siruthuli plans to conduct a comprehensive study of the entire region. This will be done to better understand natural drains, vegetation, groundwater levels, land use, and livelihoods. The study will form the basis for developing watershed concepts, RWH structures, and more. These will be applied across Coimbatore, after a series of awareness campaigns. Siruthuli has also been involved in spreading the message of going green and educating the next generation for the same. You can read about their initiatives here! 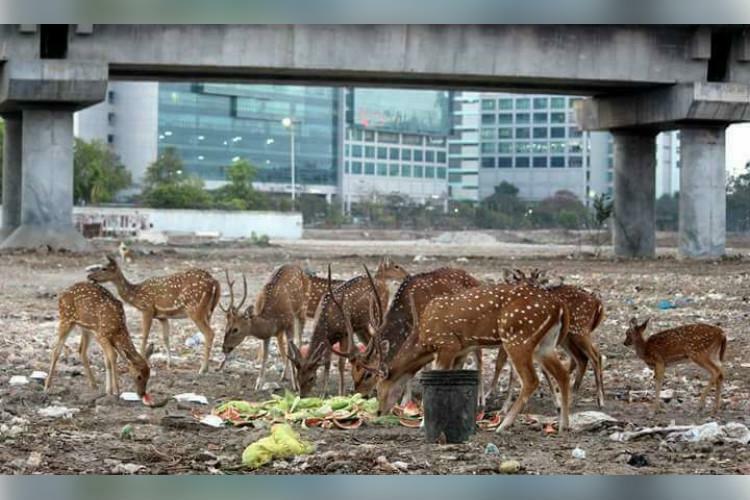 Over the past month, upsetting photos of spotted deer feeding on plastic and other waste in and around the Taramani area in Chennai have surfaced on social media. The deer had reportedly strayed from the IIT Madras campus or nearby areas. The loss of the forest ecosystem forces these herbivores to munch on plastic which in turn results in their death due to stomach bloating. The pictures, which many are sharing on social media, were perhaps first postedby Facebook user Aarthi Gopalan. Unfortunately, this is not new to a city that has witnessed several deer deaths over the years. In fact, an RTI by animal activist Antony Rubin revealed that 220 deer and 8 blackbucks died between 2013 and 2016 on the IIT Madras campus. The campus, a thickly forested area, has increasingly come under the scanner for disrupting the ecosystem in the area with toxic waste and with garbage during its annual student fest, Sarang. After the January 2014 edition of Sarang, The Fifth Estate, a website run by IIT Madras students, reported that 21 deer had died and three were injured during the event. Animal rights activist Shravan Krishnan wrote on Facebook, “We have in fact spotted deers as far as Gandhinagar, Indra Nagar and past Kotturpuram. The main reason for these deers to stray out is because of loss habitat especially in IIT. These deers stray out for food and water during the summers. You only see deers coming out, but we have spotted a whole lot of animals such as pangolins, jackals, civet cats, jungle cats and monitor lizards also venturing out due to habitat destruction. This problem will get worse in the coming years. In December 2017, the southern bench of the NGT had directed IIT Madras to ensure that no further damage or injury is caused to the animals, including endangered species on campus. 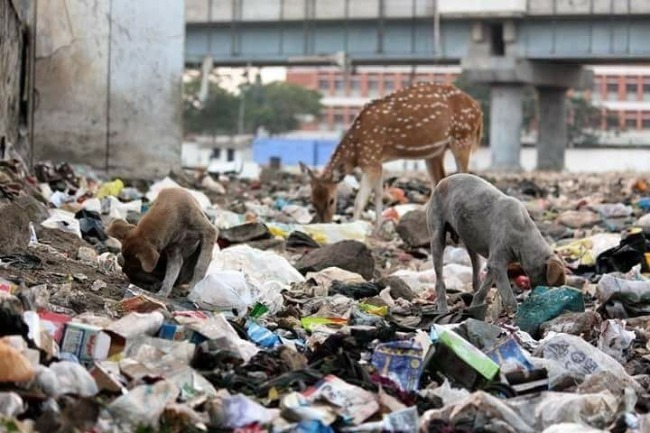 IIT Madras, on the other hand, had claimed that they have an efficient process for solid waste management in place and blamed the increasing number of stray dogs on the campus for the death of the animals. Meanwhile, the southern bench of the NGT has virtually become non-existent as its last member retired and no new appointment is forthcoming. Pending non-compliance appeals before the court are now left in the lurch. With no way of filing appeals here, activists end up incurring significant expenditure moving the cases elsewhere. “The case keeps getting rescheduled here. So we are trying to move it to Delhi. What else can we do?” Antony asks. 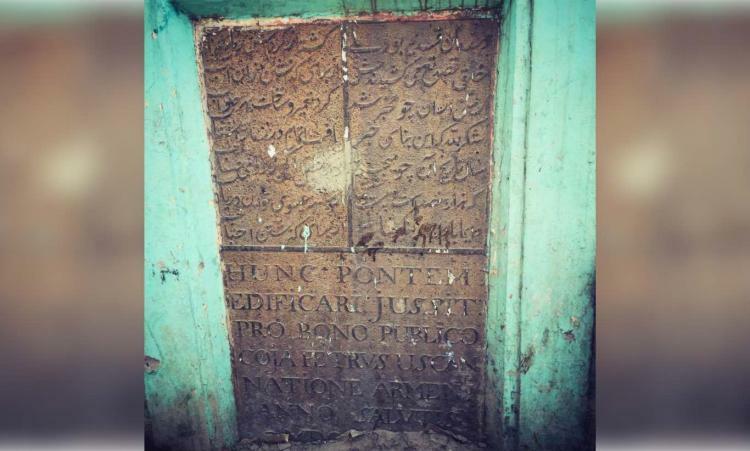 Will Chennai be able to save a 300 year old Plaque connecting it to its Armenian Past …? The plaque is the last living relic of the Marmalong, the first ever bridge built over the Adyar river in 1726 by Armenian trader Coja Petrus Uscan. If you take a walk across the busy roads of Saidapet in Chennai, chances are that you would cross what is perhaps one of the oldest living relics that connects the city to its Armenian past. To the uninitiated, it may look like an unremarkable slab of stone on a pale green crumbling wall. However, this ordinary looking slab of stone is in fact a 300-year-old plaque that belonged on the pillars of one of oldest bridges in the city. Marmalong Bridge, the first ever bridge across the Adyar river, was commissioned in 1726 by Coja Petrus Uscan, an immensely wealthy Armenian trader. Uscan, who had decided to settle in Madras after coming to the city in 1724, paid 30,000 pagodas from his own money to build the bridge and another 1,500 pagodas for its upkeep. “Uscan was immensely respected and perhaps was even one of the only non-British allowed to stay in Fort St George or the White town. A devout believer in St Thomas, Uscan wanted more people to visit the Saint Thomas Mount, and therefore removed the two impediments – the river and the lack of steps – by building the bridge as well as 160 steps to the mount. This was the initial purpose of the bridge. But all that soon changed as the Marmalong Bridge became crucial to the expansion of the city, especially towards the South,” says Chennai-based novelist and historian Venkatesh Ramakrishnan. 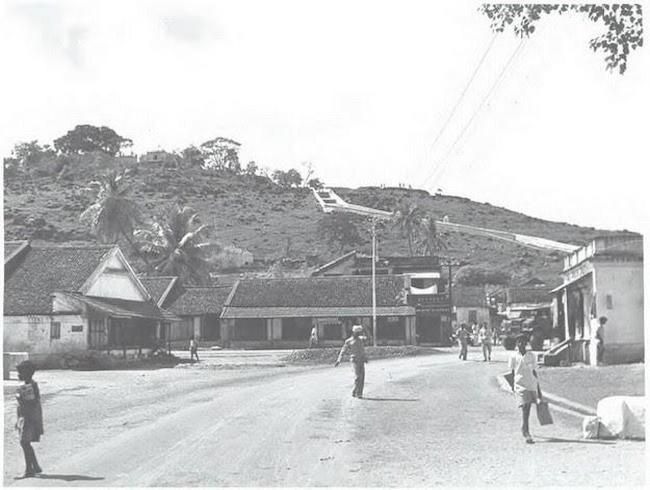 Mount Road, around which the city developed, came 60 years after the Marmalong bridge. Named after Mambalam, one of the villages near the Adyar, the Marmalong Bridge perhaps laid the foundation stone for the city as it led to the emergence of the Mount Road, around which Chennai developed. “It was only natural that a road followed after a bridge was built. The British built the Mount Road in the 1800s, around which the city grew. So, in a sense, the bridge led to the city’s birth and is very close to its heart,” Venkatesh adds. However, the Marmalong only lives in our memories today. Where the arched bridge of Uscan once stood, a concrete replacement called the Maraimalai Adigal Bridge now exists. There are no traces of this Adyar-Armenian connect but for the last living relic – the plaque commemorating Uscan’s construction of the bridge. With inscriptions in three ancient languages – Persian, Armenian and Latin, the Uscan plaque was established in memory of the great nation of Armenia and is a tribute to the people who helped build the city. “The Armenian inscriptions are on the lower portion of the plaque. It can’t be read because the writing has faded with time and neglect,” according to Venkatesh. The neglected plaque stands near the Saidapet Metro construction site. Displaced from its original site, the plaque faces the perils of urbanisation and is further threatened by the metro rail work that is underway. Years of neglect and development in the area has buried the stone in layers of debris. In fact, the bottom of the stone has disappeared under the ground as the road levels have been rising every year due to re-carpeting, Venkatesh laments. With the construction of the Saidapet Metro station underway, historians who are fighting to save the plague urge the CMRL to give the stone a place of honor in the metro station. Highlighting the importance of preserving such relics, Venkatesh says, “The Armenians have contributed immensely to this city. I believe it is important to preserve all traces to this link. It is really unfortunate that while the Uscan stone stands neglected, another plaque at the Fourbeck Bridge is preserved by the Architectural Society of India,” he said. A dedicated group of Chennai historians have launched a Facebook page “Retrieve Uscan Stone” to draw attention to the issue and save the plaque. “The Saidapet Metro work is too close to the plaque. We have been urging the officials to move the relic to a better place, may be a museum or a memorial site. We just don’t want to lose a precious piece of the city’s history,” Venkatesh says hopefully. Which is the ‘Best Police Station’ in India? This Coimbatore Station Bagged the Award! The New Year brings with it new beginnings and felicitations of various kinds – best movies of the year gone by, television series, best designers etc. Now here is an award with a difference – Tamil Nadu’s RS Puram police station, in Coimbatore city, won the award for the ‘Best Police Station’ in the country in the category of SMART Police Stations, an initiative by the Ministry of Home Affairs. SMART Police (S-Sensitive and Strict; M-Modern with mobility; A- Alert and Accountable; R- Reliable and Responsive; T- Trained and Techno-savvy) was a concept that was introduced by Prime Minister Modi at the 49th annual conference Directors General/Inspectors General held in Guwahati in November 2014. 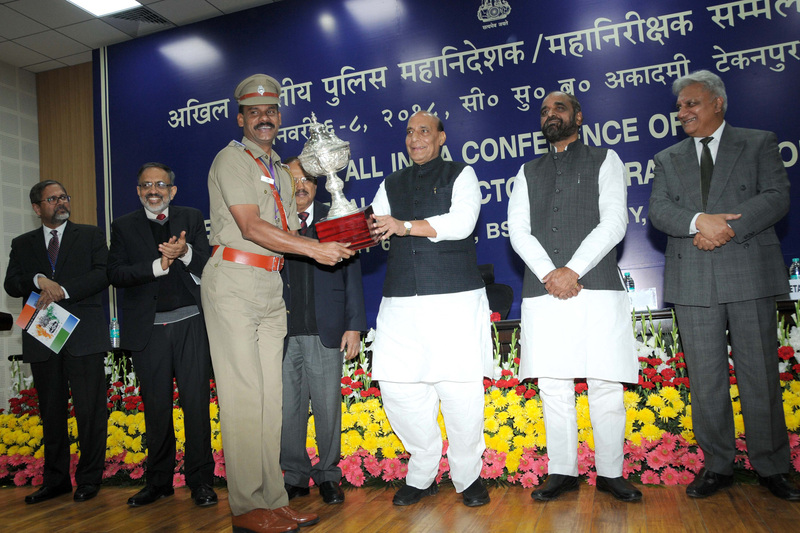 Station House Officer T Jothi, Inspector (law and order), received the award from Union Home Minister Rajnath Singh at the All India Conference of Director Generals/Inspector Generals of Police held at BSF Academy Tekanpur in Madhya Pradesh. The Union Home Minister, Shri Rajnath Singh presenting the medals and trophies after inaugurating the three-day All-India Conference of Director Generals / Inspector Generals of Police, 2017, at the BSF Academy, in Tekanpur near Gwalior, Madhya Pradesh on January 06, 2018. The Minister of State for Home Affairs, Shri Hansraj Gangaram Ahir, the National Security Advisor, Shri Ajit Doval the Union Home Secretary, Shri Rajiv Gauba and other Senior Officers are also seen. This is yet another feather in the station’s cap, the RS Puram station has an exclusive room for visitors, a waiting hall, investigation room, a receptionist cabin, treated drinking water and a ramp for the disabled. The all-woman police (east) has set up a crèche for the kids accompanying petitioners. Station House Officer Jothi attributed the station winning the award to the teamwork of Tamil Nadu police. “No single person was responsible for the award. It is a team from the top to the constable level,” he said. “The station has been chosen as the best in the nation based on 80 parameters including basic amenities, crime detection, property recovery, cleanliness and citizen-friendly,” he said, as per a report in DNA. The Hindu reported, following instructions from the State police headquarters, the Coimbatore City Police sent a file containing the initiatives it had taken in the past for effective and friendly policing. Based on the proposal a Home Ministry team visited the city and interacted with people who fell under the police jurisdiction limits. Some of the parameters considered for the assessment include the rate of crime detection, execution of warrants, recovery of properties, enforcement of local laws and special acts, preventive arrests and detention under Goondas Act.